Co-Optimus - News - White Knight Chronicles 2 Will Release September in the U.S.
WKC2 is already out in PAL, but what about the U.S? White Knight Chronicles 2 released in the PAL region last month, but JRPG enthusiasts state-side are still without their fix for huge medieval gundams. Never fear, JRPG'ers - White Knight Chronicles 2 is slotted for a September U.S. release on the PS3. The game is a direct sequel to the first title, and will be the conclusion to the storyline. 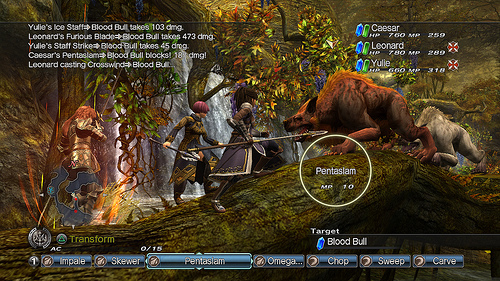 Developer LEVEL-5 has taken player feedback on the first game very seriously, and as such reports dramatic improvements to the battle system which include more strategic combat and a faster Action Gauge. Online co-op has also been expanded to up to 6 players instead of 4.